Fracking resistance is putting the Earth First! A significant legal victory against the capitalist system, and its use of “anti-terrorism” laws to crush dissent (see Acorn 12), has been notched up in France. 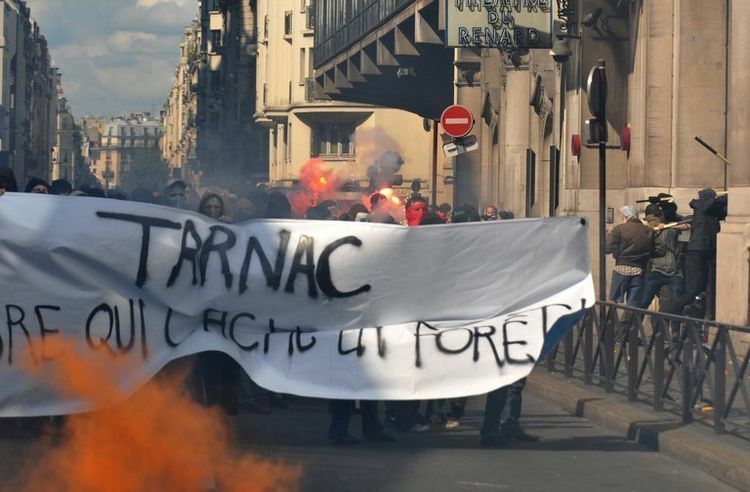 After seven years of trying to prosecute the “Tarnac” defendants for so-called “terrorism”, the French state has finally failed. The eight defendants, accused of sabotaging high-speed TGV railway lines in 2008, will still go to court, but facing lesser “conspiracy” charges instead. In an order made on Friday August 7, described as “a major blow to the police”, judge Jeanne Duyé rejected the government’s attempt to have three of the activists tried for “terrorism”. Defence lawyers told the press: “Right from the start, our clients have been regarded and treated as terrorists. Finally it’s been realised that this just doesn’t hold up”. Mathieu Burnel, one of the defendants, said: “Our arrests were purely political and based on false statements from the police. 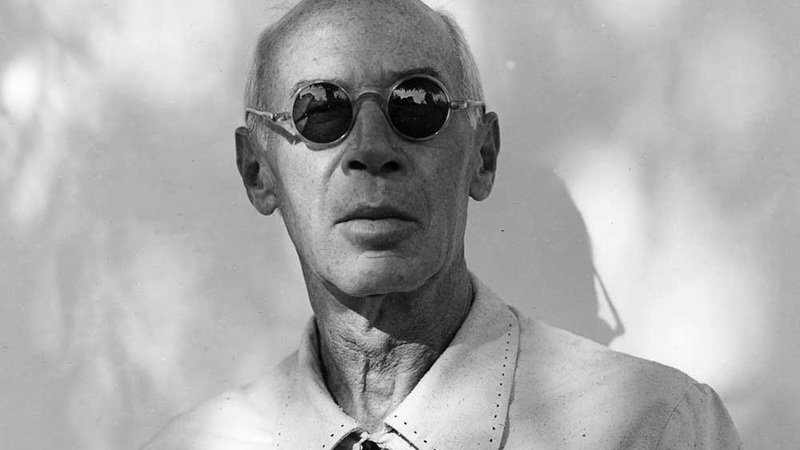 The whole thing is going to fall apart once it goes to trial”. 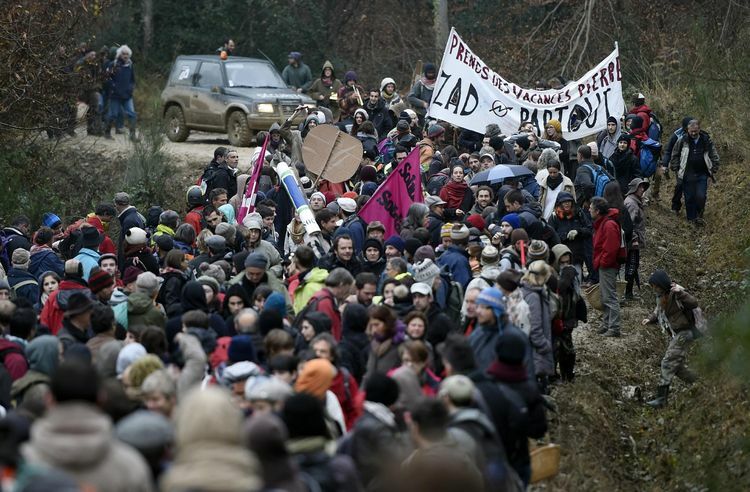 The case against the anti-capitalists from the village of Tarnac has been closely linked to their alleged co-authorship of The Coming Insurrection by The Invisible Committee, which came out in 2007, the year before their arrests. Julien Coupat, supposedly one of the main authors, has said it is “laughable” that the “terrorism” case against him should be based on a book that can be bought in high street bookchains in France, such as Fnac. The Invisible Committee last year published a follow-up book, A nos amis, which has now been published in English translation as To Our Friends. Hundreds of terrorists are heading for London’s Docklands in September, getting together to boast about the latest ways they have devised to kill and maim men, women and children. These are not, of course, the kind of “terrorists” we have taught to identify as such – these are corporate terrorists, terrorists-in-suits, capitalist terrorists hoping to make a metaphorical “killing” out of the real one, as they get rich over the scorched flesh of human beings across the world. The occasion is one of the world’s biggest arms fairs – the 2015 DSEI (Defence & Security Equipment International) , which will be staged from September 15 to18 at the Excel Centre in Newham, London. Held every two years, DSEI is jointly organised by Clarion Events and the UK Government, which has a proud history of sponsoring global slaughter. More than 1,500 exhibitors will attend from around the world, including most of the world’s largest arms companies, displaying arms ranging from rifles to tanks, fighter jets, battleships, missiles, military electronics, surveillance and riot control equipment. The Anarchist Action Network (which has just staged a successful week of anarchist workshops nearby in East London) has a section on its website devoted to DSEI. One part sets out why the AAN believes that direct action is needed against arms fairs such as DSEI. It says: “From the UK’s illegal wars for oil, to the way arms companies are allowed to operate here with impunity, there is no accountability. “The British police act as free private security for the arms trade – they abuse protesters and turn a blind eye to the continual breaches of laws banning the promotion of torture weapons, or those that indiscriminately maim and kill civilians. 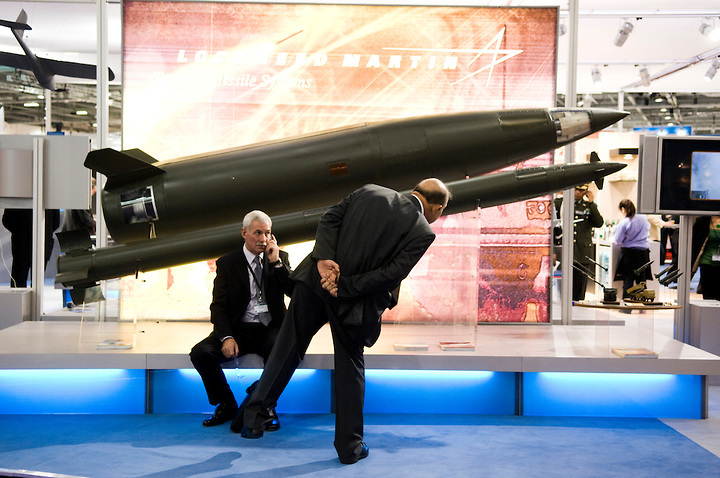 “Various ‘illegal’ arms such as electro-shock weapons, weighted fetters and gang chains, cluster-munitions and anti-personnel landmines have been documented by Amnesty as having been promoted for sale at every DSEi arms fair since 2005 – yet the state has not once intervened. “And some of the most destructive weapons for sale at the event – such as the drones frequently used to incinerate whole families by remote control at the touch of a button in places like Pakistan or Palestine – are not illegal to sell at all. In such circumstances we see no way forward but direct action. “The police aren’t there to protect us but rather they exist to protect the interests of the privileged and powerful. “Those people who seek to take genuinely effective action against the state or the corporations quickly learn this lesson the hard way, if they didn’t know it already. “As an important matter of principle our group will never liaise or negotiate with the police”. The Stop the Arms Fair website includes details of a week of action just before the event. More info is also promised on the AAN site in future weeks. 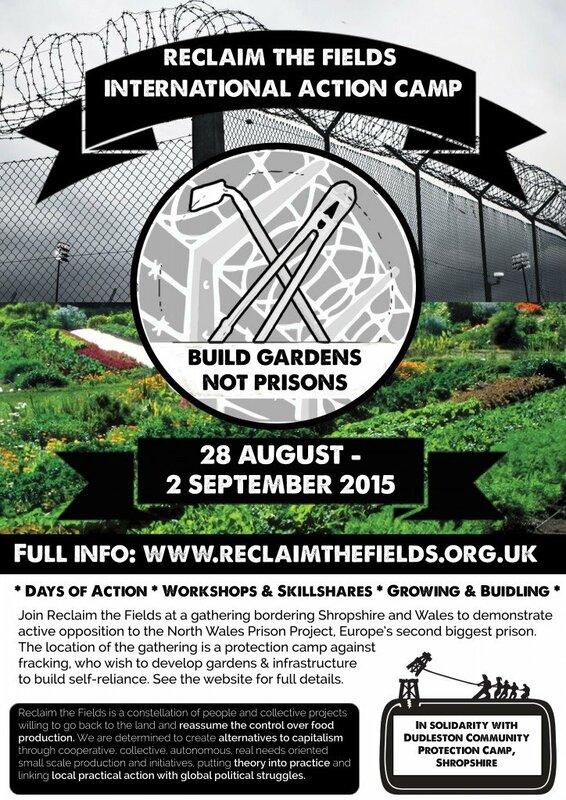 “Build gardens, not prisons!” is the theme of an international Reclaim the Fields Action Camp being held in Shropshire, England, from Friday August 28 to Wednesday September 2. Actions are being planned against a new superprison being built just across the border in North Wales and against the threat of fracking in the region. There is also the chance to take part in installing gardens and low-impact infrastructure at the Dudlestone community protection camp and to learn about permaculture, agroecology, forest gardening, mushroom growing, pallet construction, compost toilet making, off-grid electrics and more. The camp reflects a growing realisation that the struggle against capitalism is also a struggle against all the industrial infrastructure producing the “growth” and profit on which it depends. Among the event’s stated aims are to demonstrate the interconnection between anti-capitalist and environmental struggles and “to inspire and radicalise everyone involved” – forging an authentic and deep-rooted anti-capitalist resistance. 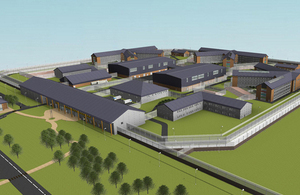 The North Wales Prison Project, which is one of the targets for the action days on September 1 and 2, will be Europe’s second largest prison. It is due to hold 2,100 prisoners and is the first of a number of ‘mega-prisons’ planned by the UK state as part of a prison-industrial complex that enslaves the population for the profit of the usual business interests. Reclaim the Fields UK was born in 2011, as a star in a wider constellation of food and land struggles that reaches around the globe. Since 2011, camps and other RTF gatherings have helped support local communities in struggle, share skills, developed networks, and strengthened the resistance to exploitation, in Bristol, west London, Gloucestershire, Nottingham and Fife among other locations. Every two years there is also an international camp, where people from around Europe and beyond meet together to support a local struggle (from gold mining in Romania to open cast coal mining in Germany, for example). People share stories and ideas about resistance and reclaiming our food system beyond national borders. 4. Fracking resistance is putting the Earth First! As the government pushes ahead with imposing fracking on the UK, despite growing opposition, direct action is likely to feature more and more in terms of resistance. And it is no coincidence that fracking struggles are one of the main themes of the Earth First! Summer Gathering being held in England’s Peak District from August 19 to 24. 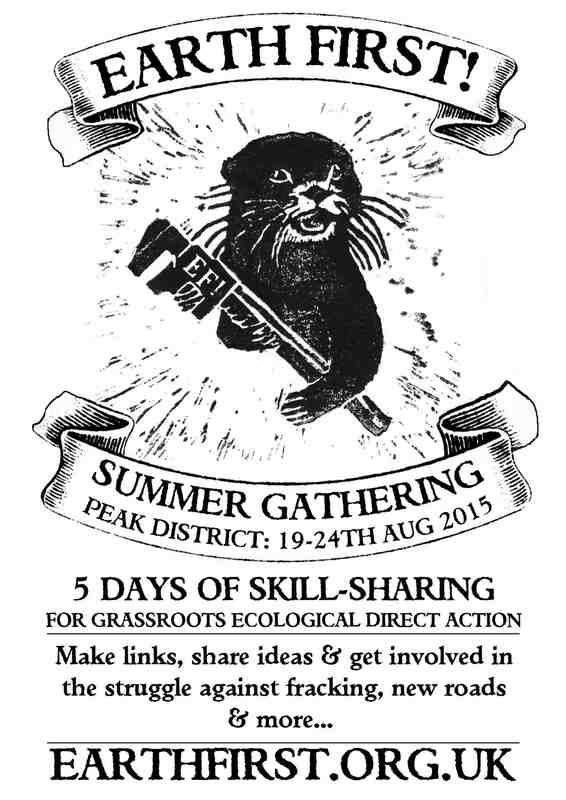 As we reported in Acorn 7, the event offers five days of skill-sharing for grassroots ecological direct action, with the chance to make links, share ideas, and get involved in the struggles against fracking, new roads and other threats to the planet. As with the Reclaim the Fields event, and the degrowth day at East London Rising, there are encouraging signs here of a resurgence in the anti-industrial movement that was so strong in the UK a few years ago. As Earth First! confirm: “This year’s gathering is set to be the largest since the 1990s with over 170 workshops confirmed so far”. The exact location is now available: Bradley Nook Farm, Hulland Ward, Ashbourne, Derbyshire DE6 3EL. Tourism is very much part of the global capitalist infrastructure and should be confronted by anti-capitalists. 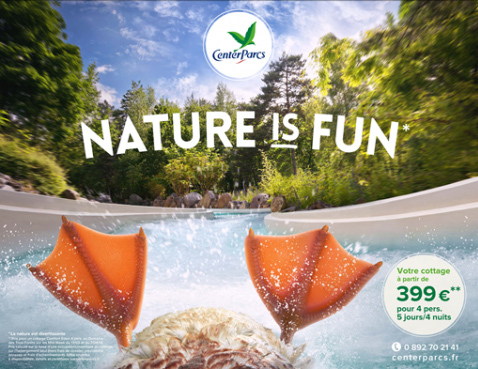 That’s the view expressed by supporters of the Roybon ZAD, or protest camp, in south-eastern France, which is trying to prevent a Center Parcs holiday village being built in the countryside. De Tout Bois is a magazine produced in support of the ZAD, which was set up at the start of 2015 as the culmination of an eight-year fight against the Center Parcs scheme near Grenoble. In an interview in issue 3, summer 2015, anti-tourism writer and campaigner Rodolphe Christin explains how the issue fits in to the bigger picture. He says: “What we have to understand is that tourism is simply a product of capitalism. Tourism is a practice closely tied in to a consumer-based lifestyle. As a result, there is no such thing as a ‘good’ kind of tourism for anyone who opposes global capitalism, a system which can only see the world as a source of productivity and thus profit. “It’s a whole way of living we have to analyse and challenge, and not only the specific form that a tourism project might assume in a particular location. Of course, the infrastructure involved in a leisure park is very visible and it impact will bring about spectacular and brutal changes to an area. A short video about indigenous resistance to logging in Canada can be seen on a new website. 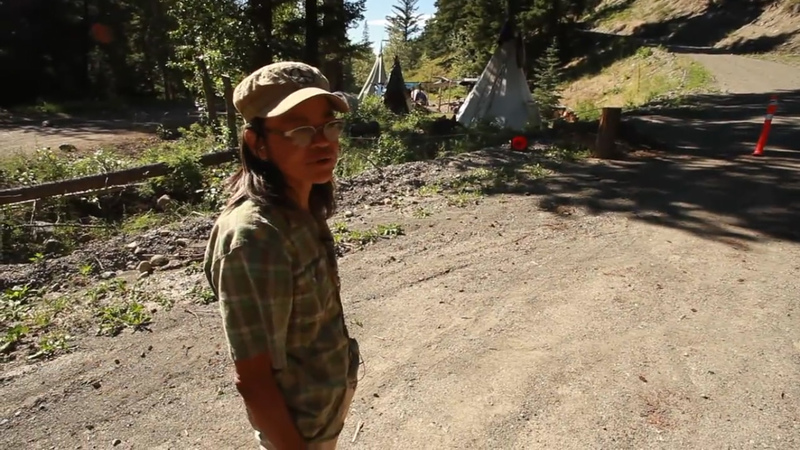 Four months ago Christine Jack, a St’át’imc hunter and fisher, and Ken Thomas, a St’át’imc Elder, set up camp near Lillooet. This is the unceded territory of the St’át’imc (Xwisten First Nations) at Junction Creek in the Yalakom Valley. The area was used for thousands of years as a village site and trading ground where Secwepemc, Tsilhqot’in and St’át’imc people came to trade, hunt, gather and process foods and medicines. Jack and Thomas reoccupied the land after logging company Aspen Planers was found to have been cutting trees on the site of an ancient village. It laid thin sheeting and gravel over what is believed to be an indentation of an ancient pit-house. Notes the website: “At this time establishing camps on traditional territories may be one of the most effective ways to assert indigenous sovereignty and protect against the constant encroachment of government and corporations”. 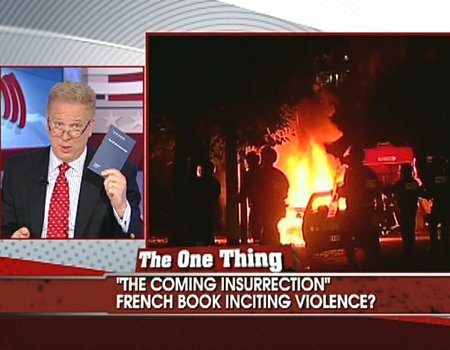 Exactly four years after the English riots of 2011, a French magazine brought out to celebrate the uprising has been posted online as a pdf. 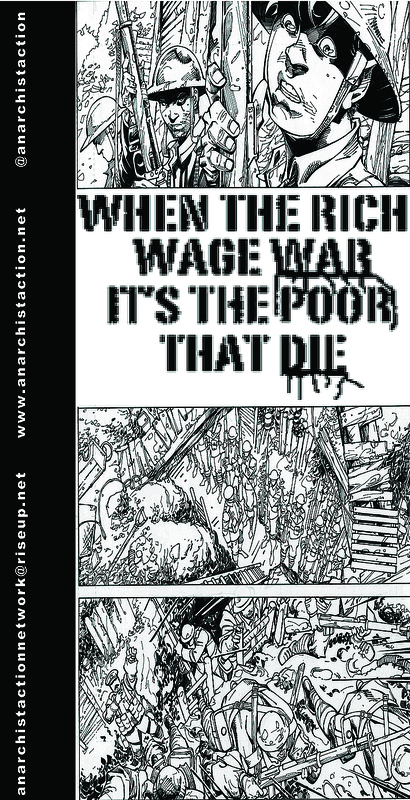 Now war is declared (taken from the lyrics of London Calling by The Clash ) was widely distributed as a print-only publication in 2011. It states in the introduction: “Austerity measures in the UK are exactly what they seem to be – a trite confirmation of the vision of the world held by those who are imposing them. When they run out of money, they try and take it from the people who haven’t got any. Inequality keeps a hierarchical society in working order. When poverty is on the rise, you nearly always see the rich and powerful crying out for more security – because sometimes along with poverty comes anger…” Of course, things are so different now that there could never be another major outbreak of rioting in the UK, could there? While migrants in Calais have been in the British headlines, there are other camps around Europe that are little heard of in the UK. One, for instance, is at Ventimiglia in Italy, next to the French border. Here, African migrants prevented from crossing into France ended up camped on the rocks by the sea in what one blogger called “the very worst sanitary and human conditions”. 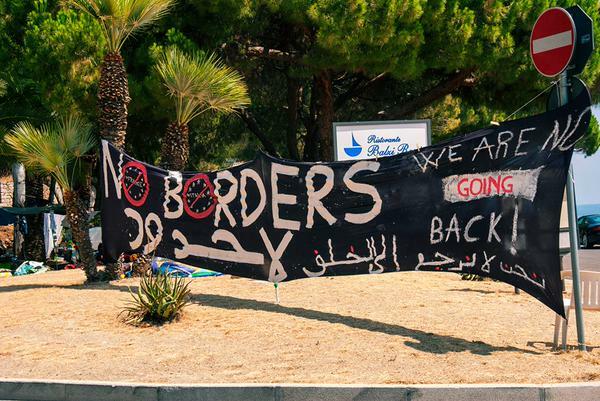 Then some young Italian anarchists from No Borders stepped in to set up a proper camp, with open-air kitchen, shower and toilet. Solidarity in action! More info here. Another great technological break-through for humankind. It seems the latest “connected car” software allows hackers (or authorised persons?) 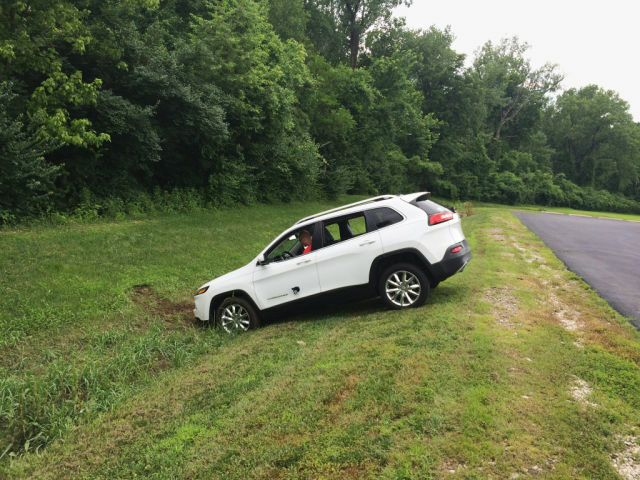 to take remote control of a vehicle’s onboard computer, remotely controlling the throttle, brakes and even (in some cases) its steering, as well as the vehicle’s windshield wipers, navigation, and entertainment systems. There is a call-out for court solidarity with the Plane Stupid activists who locked on at London Heathrow Airport last month (see Acorn 12). 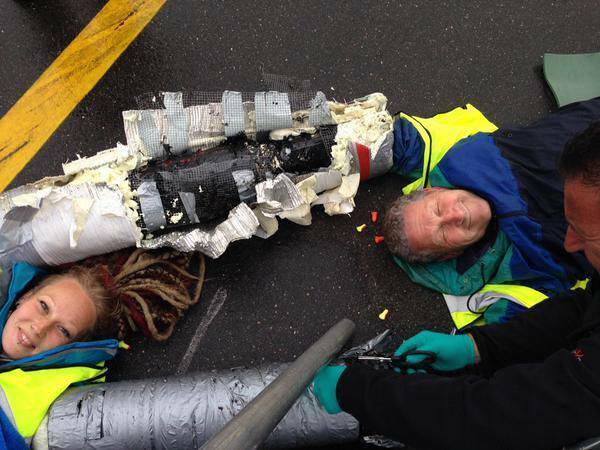 It reads: “For defending the planet and human health, the activists have been charged with aggravated trespass and being in a restricted area of the airport without permission. If you want to show them your solidarity, please attend their first court hearing on Wednesday 19 August 2015 at 9.30am, at Uxbridge Magistrates Court (nearest tube: Uxbridge, on the Metropolitan and Piccadilly lines). The full address for the court is: The Court House, Harefield Road, Uxbridge UB8 1PQ”.